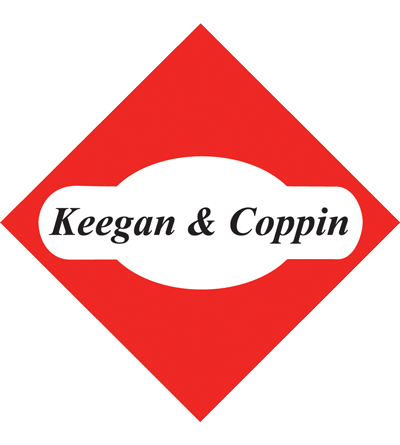 Build-to-Suits - Keegan & Coppin Company, Inc. In the last 40 years Keegan & Coppin Co., Inc. has arranged more build-to-suit transactions than any other broker in the North Bay. The company has an extensive background in construction and development which adds to their ability to manage complex build-to-suits from initial planning to project execution. In areas where inventory space is in short supply the build-to-suit, build-to-sell, and the complete remodel are going to be the main methods of developing facilities for expanding companies. A build-to-suit is the terminology where a developer is undertaking the development process on behalf of the tenant or client. The ultimate turn-key facility will either be purchased or leased from the developer. There are many varieties of build-to-suits to meet the client’s needs. 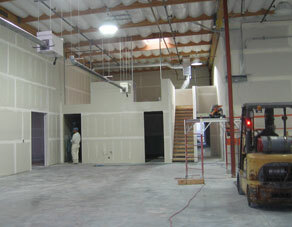 One of the main advantages of a build-to-suit is tailoring a building to a tenants needs. A disadvantage however is that the inflexibility or the special purpose nature reduces the desirability to lenders and investors. On a long term basis the inflexibility in releasing of a building may reduce the market value. The specialized nature of a building design should also be balanced with general purpose flexibility for releasing in the future. The investor and lender look for that long-term flexibility. General purpose buildings are preferred and will be easier to finance, sell or sale-leaseback. The preferred way to conduct the process is to have the tenant select a site through a site selection process and then have the broker act as an intermediary to funnel development proposals through. That way the tenant can choose the best site and best development proposal as two separate functions. The alternative is simply to request proposals from developers and land owners and allow the developer to control the land from the beginning. The amount of space can be reduced by building precisely what is needed. This may be offset by site planning which for efficiency may require more space to be built for economic feasibility. You cannot always obtain just the exact size of land you need. Sites typically are available in finite sizes. Ideal layout for company – The tenant can realize greater efficiency of laying out the space to accommodate the best logistics, assembly or manufacturing flow from input to output. Yard space, which is typically not available with existing buildings, can be made part of the site design. The business owner may have a greater selection of alternative locations. For some building users, retrofitting standard height flex-buildings may be much more expensive than building a new shell that allows for process piping and electrical chases or other special equipment or processes. Although retrofitting an existing “spec” shell may provide the fastest time frame, fast tracking – a design-build project may reduce development time to an acceptable level. Build-to-sell or build-to-lease or lease-options may provide more flexibility for the firm that wishes to make an additional investment in real estate. Leasing in the early years with an option to purchase allows capital to be used initially for the business with the upside that if surplus cash is available the business owner can take advantage of at least some of the appreciation of the facility. Developer buys land, finances construction, completes T.I.s, pays for all consultants and soft costs. He basically turn-keys the project and then transfers title at the end of the process for a build-to-sell and the lease payments begin under a build-to-lease. The tenant is in the loop principally through having signed a lease or purchase agreement with sufficient deposits to insure performance and with approval rights at each juncture of the development process. The opportunity for developer profit is retained by the developer. The alternative is to have the tenant buy the land, obtain financing and pay for all the consultant and indirect costs. He then may pay a fixed fee to a development manager who oversees the whole process. The land, the loans and the contracts are all signed by the owner. In this scenario the tenant has complete control but also complete responsibility for contingencies. The development manager is paid a fee as a professional to oversee the process but does not have the responsibility for cost-overrides. Fixed priced contracts under the developer – manager will include the general contractor, major subcontractors, suppliers, architects and engineer. However, the upside is that the building is developed at the actual cost allowing the business owner to enjoy the equity created. If the tenant desires to be a tenant or essentially 100% finance the project by sale-leaseback, then a “sales price” can include a developer profit i.e. the owner will yield the difference between market price and actual cost rather than the developer. This latter alternative is favored in situations where there are few financially substantial and experienced developers qualified to handle the transaction under alternative “a”. The amount of risk a developer is willing to take is also a determinate. Normally the developer will quote lease payments as a percentage of costs. However, costs must be defined. A building shell should have a fixed price based on a defined scope. Interior improvements can also be fixed based on a specified scope.